Gefilte Fish - Bralow's Fresh Fish & Seafood, Inc.
Gefilte Fish is a traditional Eastern European, boiled fish delicacy often eaten by Ashkenazic Jews. A longstanding custom has been to eat gefilte fish on Shabbos, which is a day of rest when many types of labor are prohibited. One of the activities prohibited on Shabbos relates to the separation of chaff from grain, which is known in Hebrew as Borer. Borer, or sorting, is the seventh of the 39 melachot (categories of activity that are forbidden on Shabbos). It is any form of selecting or sorting inedible matter from food by hand. This includes removing undesired objects from a mixture or combination such as removing spoiled cherries from a bowl of cherries or removing bones from fish. Eating fish is a common situation in which Borer becomes a problem because fish is often served whole and bones are not removed prior to serving. To avoid this concern, a custom developed where the fish is filleted, ground, stuffed back into the skin and then cooked. The resulting delicacy is Gefilte Fish, which literally translates as Stuffed Fish. The tradition of serving gefilte fish on Shabbos started during Midieval times and continues today. However, this time consuming dish is served less frequently than in past times. It was only a few decades ago when local fish stores would sell thousands of pounds of carp every Friday. Now most families reserve this dish for Passover and Rosh Hashana. While gefilte fish can be made from any ground fish, it is most commonly made with Carp, Whitefish and Pike. Since gefilte fish is of homemade origin, preparation styles vary widely by locality and from cook to cook. Gefilte fish can be sweet (generally among Jews of German, Austro-Hungarian or Polish decent) or seasoned with salt and pepper (common among Jews of Russian or Ukrainian decent). The tradition of stuffing the ground fish mixture in the fish skin has also changed over time. Modern styles of gefilte fish now range from cooking the ground fish mixture in loaf pans or shaping it into balls or patties and boiling them in a vegetable stock. For over a century the Bralow family has maintained a long-standing reputation in the Jewish Community as the place to go for Carp, Whitefish and Pike. More recently, Bralow's Fish has become one of the only fish stores in the Tri-State area serving the Jewish Community for Passover and Rosh Hashana. Our customers come from all over Pennsylvania, New Jersey and Delaware to prepare their holiday meals. 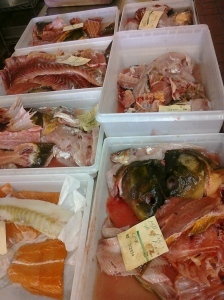 We even ship holiday fish from Massachusetts to Key West, Florida and as far west as California and Hawaii. When you order holiday fish from us we fillet and grind it free of charge. 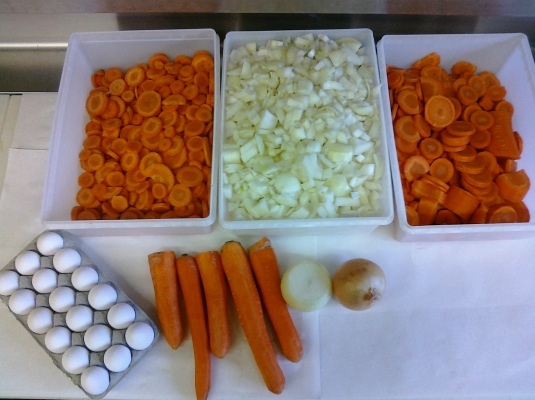 We give you back all of the bones, skin, heads and roe or melt (fish eggs) so you can make a stock. 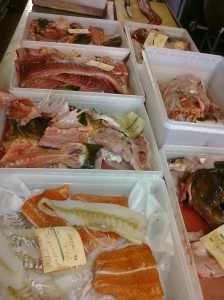 We take care to wrap each package carefully and separate the various fish parts in different bags. 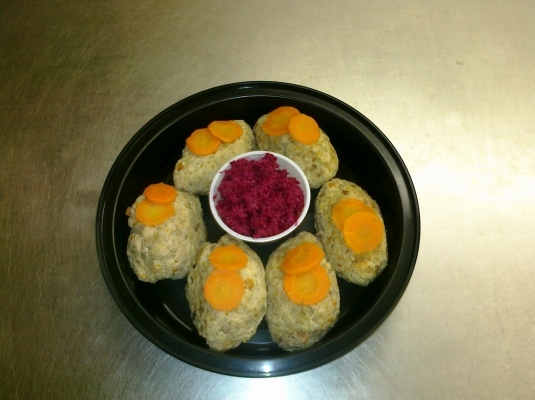 We know how you want your holiday order prepared because we make gefilte fish ourselves. 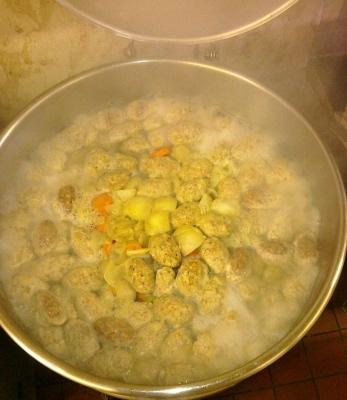 Bralow's Famous Homemade Gefilte Fish - Bubbie Approved! That's Right! If you choose not to go through with making it yourself we do it for you. This isn't commercial gefilte fish from a jar or can. This isn't "doctored-up" gefilte fish from the local deli. We actually take fresh fish, cut in-house (the same fish you would use to make it yourself) and create traditional, homemade gefilte fish. This is our own Bubbie's recipe! 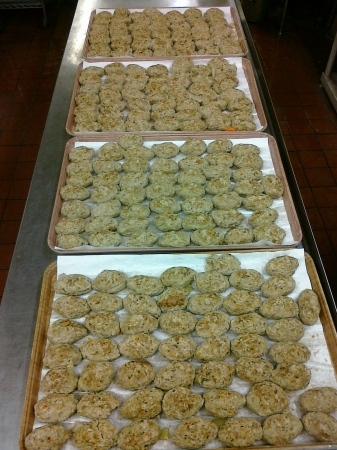 We take fresh ground Carp and Whitefish, mixed with the perfect amount of chopped onions, carrots, egg and matzo meal then hand-mold our gefilte fish. We call it Bubbie approved because it was created by our Bubbie and would be approved by yours! From Our Kitchen to Your Family's Table - They'll Think You Slaved For Hours...We Promise Not to Share Your Secret.